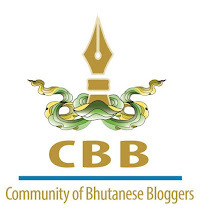 During the Annual Bhutanese Bloggers’ Dinner we unanimously decided to have the 3rd Bloggers’ Conference on 6th February in Thimphu considering the schedule of many members of the community. Bhutan’s alpha photographer and blogger Aue Yeshey Dorji took charge of the logistics. He showed us all how tough a taskmaster he was and how things were done; he pushed things so hard that we were ready a month ahead. This happened for the first time. He not only had the venue ready but also the location map of the place, not just the menu but also the fund needed for all of it. The core team had only to get the four speakers ready and a moderator. The community co-founder Nawang P Phuntsho jokingly shared that he should first look for the moderator next time considering the difficulty he faced in getting blogger Nim Dorji to moderate. With the opening remark by Rekha Monger the conference kicked of at 3pm in the RSPN conference hall. We had a cake cut to celebrate the birth of our Gyalsey. The first speaker to take the stage was our very own Chador Wangmo, the author of La Ama. She shared about her journey to Langdorbi in Zhemgang to help the children of men who lost their lives in a boat accident. She said that she had only been the bridge between the charitable souls and the victims, but I know she has been more than that. Mother of three little children and jobless, Chador showed to us how possible it was if you really meant to help. Her project not only took care of basic necessities of the children there but also gave them their fair share of childhood with gifts of toys. The blogger who went beyond his blindness and showed us wit and wisdom of life spoke on what it meant to be disabled in Bhutan. He made us laugh with his humors as he narrated the story of his life. He said that ‘Bhutan is a compassionate country for the disabled people to live in’. He has never suffered any sort of open discrimination but he lamented that our infrastructures were not at all accommodating. We hardly have buildings that have access to wheelchair let alone the streets and shops. The star photographer, Aue Yeshey Dorji simply ran us through some of his best photographs and on each slide he stopped to tell us stories, either of the subject or the process. By the time he finished I was wondering if there would be any other Bhutanese who would have travelled the length and breadth, height and depth like he had done. Then I realized that he didn’t become him by luck. During the question session he was asked how he could be so bold on his blog, to which he said, “ Since when did we have this feeling that writing the right thing would get us into trouble.” He however said that it’s important to research and get the facts straight. The final speaker was Binu Creativedonkey, one of the sweet naughty boys on social media who has thus far treated us with his instant wit and satires on almost every social subject. He runs three special blogs one being the satire blog called Shobnews.com. He began by insulting himself and then told us how satire was not one of the favorite subjects in Bhutan. He shared about how his satire on film industry cost him some contracts. He promised he would rock the hall next time because it was his first public appearance. Just when we were about to wrap up Dawa Knight landed, four hours late for the conference. But over the phone he expressed his desire to do a standup comedy and that was exactly what we needed over the post conference drinks and dinner. Upon little persuasion he started his usual comedy, which I have heard hundreds of times. But with a mike in hand and facing the crowd he was magnificent. I laughed all over again. Now we are seriously considering coming up with a YouTube Channel of Bhutanese satire and comedy with Dawa Knight and Binu Creativedonkey. The most memorable part of the Bloggers’ conference is usually the social break after the conference where we get to meet the community members, take pictures, and share light moments. And because I am a night person and I bring my family along I don’t need to rush anywhere therefore I am usually the last person to leave the hall. I love the look on people’s face when I ask them to stay a little longer. It’s always Nawang, Che and Tharchen with me in the end. Dasho Sangay Khandu never missed any conference and would be the last guest to leave. He would kindly agree to drop off a carful of bloggers. The conference was fully funded by five members of Rotary Club of Thimphu including Aue Yeshey Dorji himself. The partial support we received from BOB shall be used for next conference. The magnificent venue was provided for free by RSPN and their communication officer Pema Gyamtsho stayed throughout the conference to make sure we have the best of audiovisual and WiFi connectivity. So let me know the dates for making YouTube clips lol.. these days am spending time on my pretty face lol. Nice write-up of a signature event, chronicling all kinds of new visions and understandings. 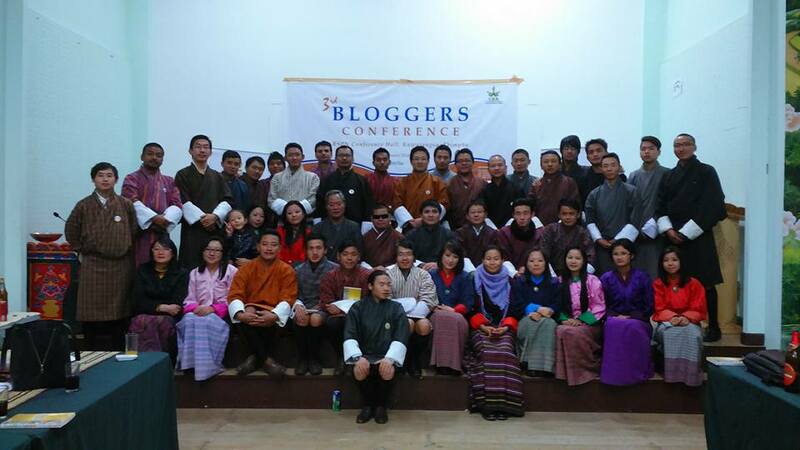 Bhutanese Bloggers see things diversely and with passion, and a great generosity to share and build on growing insights. You-all make a major contribution to a dynamic, sensitive, sensible and informed civil society, yet always much more to be done. Tashidele!